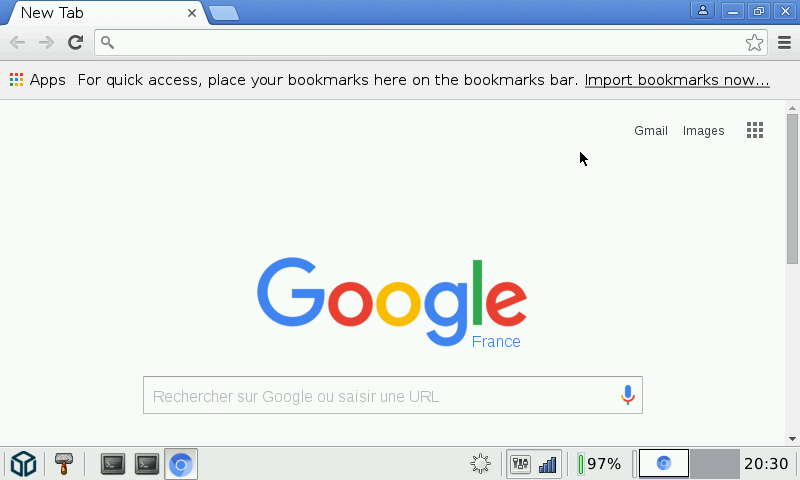 Here is Chromium, the Google OpenSource version of Chrome. This is a fresh build, cross-compile for the Pandora, and using LTO and all optim available for speed. It's still an heavy and memory-greedy browser, so don't expect it to start as fast as Otter, Qupzilla or even Palemoon. This version should be feature complete (Apps do works!) and the F11 fullscreen works well. Font scalling is a bit strange by default (on 4.10 driver, maybe it's Better with Default one). Note that I have experience a few crash (especially on the 1st launch), but I could not reproduce them. 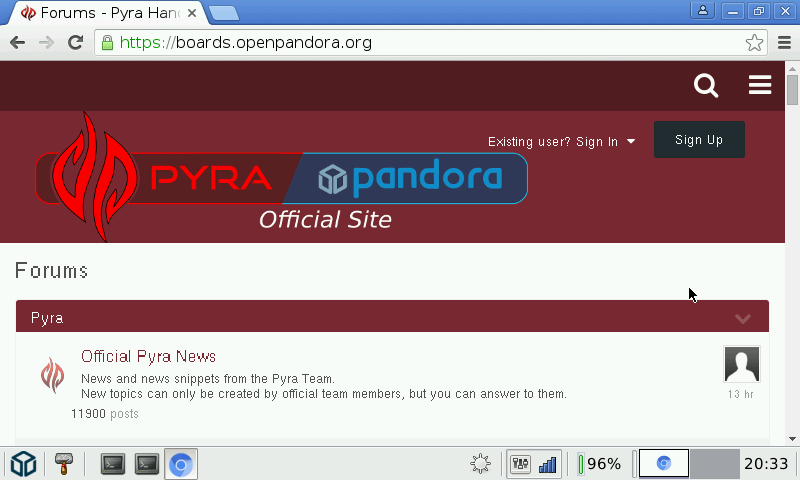 Indeed, i was wondering how well it would run on the Pandora - it runs without issue on my Android phone (2 years old one) so maybe it's pushing the hardware of the Pandora too far - but so far I can't have it run in any browser. @ekianjo: ok, I'll take a look. I have seen the demo on a desktop PC, it's a very well done demo, it seems quite gpu intensive! 4/5 great port, still have random crashes for now for some reason, and fonts are not always looking good, but great nonetheless! Page generated in 0.0653 seconds.